Today’s competitive retail environment places enormous pressure on merchants to not only create a compelling shopping experience, but also to invest in store systems technology that can improve business performance on all levels—reducing total cost of ownership, remotely managing systems and information, empowering store employees and providing consumers with a differentiated shopping experience. IBM, the global leader in advanced retail store systems technologies, meets these demands with the addition of new models of the SureMark dual-station thermal/impact receipt printer—the premier point-of-sale printing solution for large and mid-market retailers. Built for ultimate retail-hardened performance and ease of use in demanding retail environments, new SureMark dual-station printers deliver unmatched speed, accuracy, reliability, serviceability and exclusive eco-friendly features that set new industry standards. 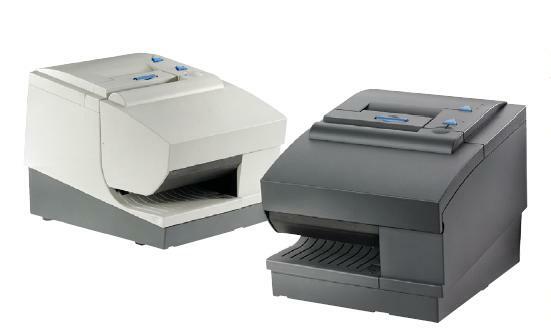 The model 2CR is available in Iron Gray or Pearl White with a Serial or USB interface, MICR and IBM On-Site Warranty.